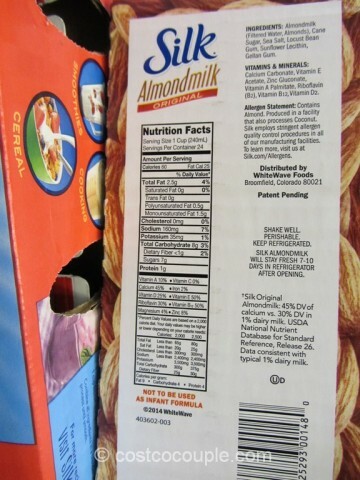 For those on a plant-based diet, the Silk Original Almond Milk is a nice option in addition to the Silk Organic Soy Milk. We went to the Fremont Costco one weekend and for some reason or other, the Silk Soy Milk was not available so we purchased this almond milk instead. I thought there’d be a stronger almond scent/flavor but it was really mild. There’s less calories and sugar per cup when compared to the soy milk. 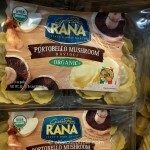 We thought it was a nice alternative to soy milk and will purchase it again. 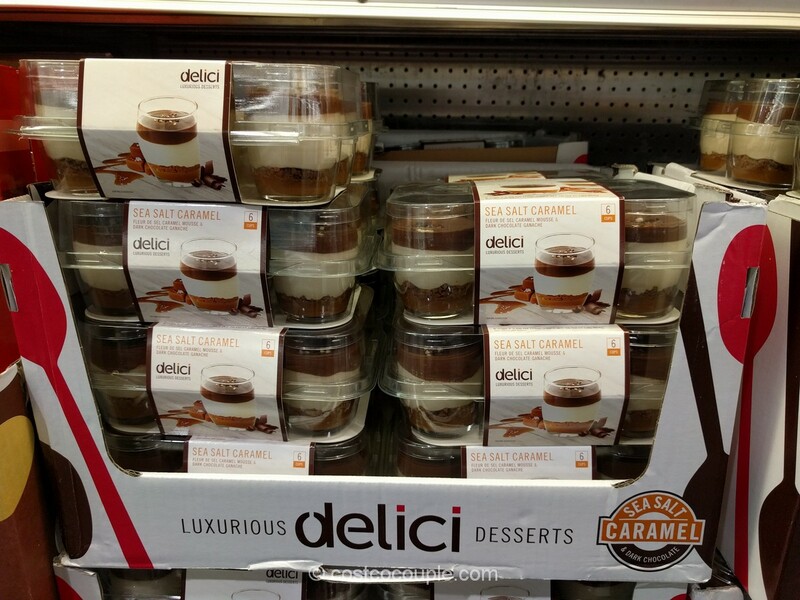 There are 3 half gallon (64 0z) cartons in a pack. 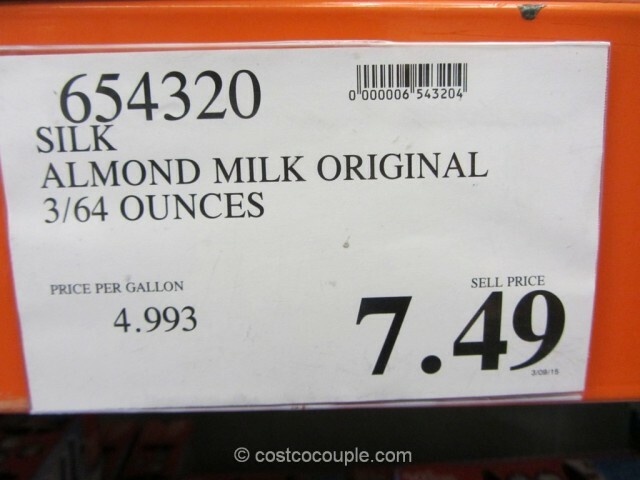 The Silk Original Almond Milk is priced at $7.49. Unit price is $4.993/gallon or $2.49 per half gallon carton. P.S. 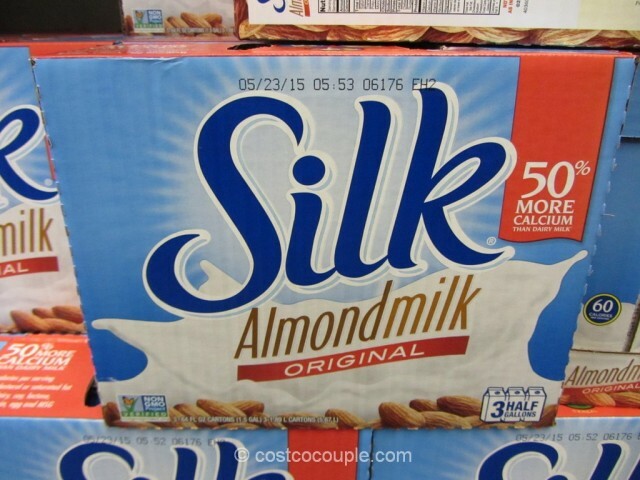 We wanted to try the Silk unsweetened almond milk so we went to Safeway and purchased one. The half gallon was priced at $3.40 so it’s definitely cheaper at Costco.